The film is inherently and powerfully feminist. Mustang begins with laughter in the shimmering water of the Black Sea where orphaned sisters Sonay (Ilayda Akdogan), Salma (Tugba Sunguroglu), Ece (Elit Iscan), Nur (Doga Zeynep Doguslu) and Lale (Gunes Sensoy) play in the waves with male schoolmates. Still in their school uniforms, they are celebrating the last day of term. The girls fall into their house to find that their grandmother (Nihal G. Koldas) is distraught. A neighbor who had seen them at the beach had warned her that the girls were messing around with boys and risking the loss of their virtue. Terrified to lose the girls’ marriage prospects, their grandmother and Uncle Erol (Ayberk Pekcan) turn the house into a prison. Audiences will see parallels to Sophia Coppola’s The Virgin Suicides in both theme and aesthetic. But unlike the American film, there is nothing dreamy or romantic about the very real circumstances represented in Mustang. The girls are growing up in a very conservative village in Turkey where patriarchal values and violent misogyny are rampant. After their day at the beach, the house becomes what Lale – the youngest of the five, and the film’s narrator – describes as a “wife factory.” The girls are taught to sew, cook, serve tea and keep their legs and mouths shut. For a time, the girls’ imprisonment binds them together. But as the film progresses, their various attempts at escape merely exacerbate their family’s precautions. For the girls, getting caught misbehaving could mean death. The only way to escape the house is through betrothal which is it’s own kind of death for their wild spirits. 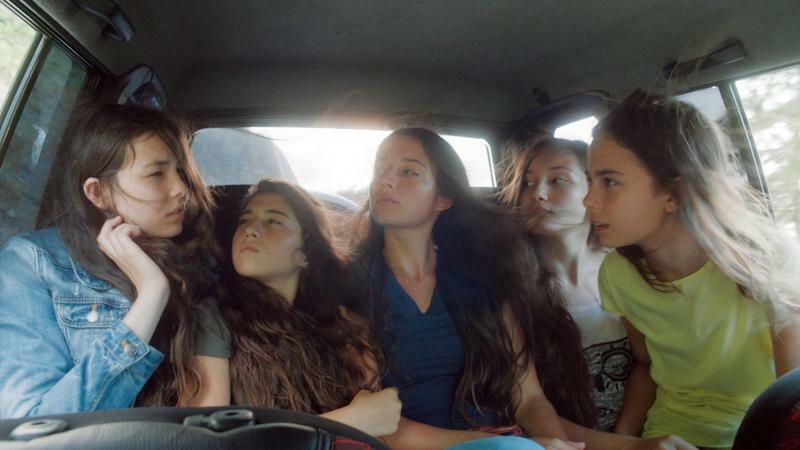 Mustang is inherently and powerfully feminist. It is a film how nothing is more important or alive than sisterhood. The five girls appear both ethereal and utterly human. Sensoy’s Lale is relentless, brave and has justice pounding through her veins like fire. Akdogan’s Sonay has as much ruthlessness and determination as she does sensuality and humour. Both the characters and the film itself repel simplicity and tropic labels. Mustang is cinematic poetry and is as intimate and touching in its visuals as it is in its themes. Director Deniz Gamze Erguven masterfully brings viewers into a world where emotions are palpable. One can feel the girls’ elation and sense of freedom like the warm sun that sparkles off the water onscreen. However, Mustang also invites audiences to profoundly experience the wrenching agony of persecution like a deep and jagged cut to the stomach.